We offer seminars on a wide variety of topics, many of them available with Washington State continuing education credits. To learn more about how to bring Denise Lones to your educational event, visit our How to Book Denise Lones page and download our Speaker Package. How to solve the common problems that most agents face such as lead generation, client follow-up, technology, and property marketing with a full marketing "toolbox" of systems. Discover marketing strategies that mesh with your agent's personality and have a memorable impact on your clients. How to maximize lead generation results. If consistent income is an important goal in your office, this class will help make that happen! Today's market is forcing agents to rethink how they've been doing business. Anything but a red-hot market requires consistency in lead generation and follow-up in order to create "now" business. Lose Your Aversion to Conversion will show agents how to generate more business by leveraging their sphere of influence and their database in a whole new way. Engage those "maybe someday" clients into "right now" clients. Agents will leave class understanding exactly what's required to nurture their pipeline and create strong relationships which will lead to future income opportunities. The majority of agents who've taken this class have discovered "right now" money previously hidden in their pipeline! Many agents are unsure about today's real estate market. They struggle to answer questions from past, present, and potential clients about the future of real estate. Well, it's time to hear a positive point of view! Using national, regional, and local data, we will share insight and information about the current conditions. We'll share how we got where we are today, and what's in store for the coming year. Agents will also hear great "talking points" for client communications And they'll discover how to help their clients put the real estate market in perspective in this important class! Think open houses aren't effective in today's tech-driven society? Think again! Our Unforgettable Open House class will teach agents how to design and conduct a truly unforgettable open house. They'll learn the secret "props" needed for success, and how to captivate open house visitors. And they'll discover the art of truly showing a home, rather than simply standing in the kitchen while potential clients walk in (and out!) the door, and learn the secret to capturing client contact information, without seeming like a pushy salesperson! This memorable class is the first step in creating an unforgettable open house experience - one that will generate amazing opportunities for your agents and your office! The market has changed! It's harder to put transactions together and equally hard to keep them together. Real estate negotiations have become more prolonged, more difficult, and more filled with conflict. Are your agent's negotiation and conflict resolution skills as sharp as they could be? Say "yes" while saying "no". An agent's success in this business will depend on their negotiation skills. Skills learned in this class will help them in every aspect of their life and business. By the end of class they'll never again confuse an "objection" with an "obstacle"! Gone are the days of "guestimating" a price, putting a property in the MLS, and pulling in multiple offers. Today's successful listing agent must understand how to price homes in today's market. And much more! If you're tired of listings that don't sell, attend this class! As Americans, we're driven to own everything "brand new." Nowhere is this more obvious than in the world of residential real estate. That's part of the reason that many parts of the country have seen such huge increases in new home construction over the past decade. And with increased development comes increased opportunity for the agent who understands what's involved in successfully selling new construction. 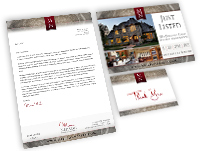 How to create an effective marketing campaign for new construction homes. If you ever thought about working with builders, this class is a MUST! Are your agents always thinking of creating a business plan for the next year, but then they never do? Maybe they don't even understand the value of it? Maybe they sit down for a few hours and create the most perfect business plan, but then it winds up on a shelf collecting dust. Traditional business plans don't work because they are simply ideas and goals without an action plan attached. Learn how to move beyond basic goal setting and begin building a business plan that will have them focused and taking action. Create a list of the one-time and ongoing tasks for their business which will bring them years of success once mastered. Help them develop a plan for easily managing tasks and keeping on track. Create a set of rules for their business that will helps them stay true to not only their business goals, but their quality of life goals as well. Take a close look at finances and the other business skills not taught in real estate school. Design a real business plan that addresses both the "big picture" of their business needs and the day-to-day tools that will make their business a success. If your agents need successful, actionable plans that will help them actually accomplish their goals, then bring Business Planning That Gets Results to your office. Business planning workbook is included along with easy-to-use financial worksheets. Learn the advanced buyer presentations, programs, and techniques that will help you succeed in today's market. Do you feel as though you are working hard, but not getting results? Is it a struggle to find clients? Is follow-up a challenge? Are you ready to really make the changes needed in their business? Are you ready for success? If you answered "yes" to even one of these questions, join us for 3� amazing hours that will change your business. How the new social network can put money in your agents' pockets. Stop feeling overwhelmed by technology, and learn how to put the web to work for you! If you are struggling to articulate your value, don't have a solid listing presentation, and aren't converting seller appointments, this class offers solid solutions. A wise man once said: "Conflict is inevitable, but combat is optional." We couldn't agree more. Although it's been called "the modern plague", conflict has been a part of every life since time began! As our world becomes more complicated, more compacted through the effects of technology, and more stressful on every level, conflict seems to be lurking around every corner. Camp Conflict is a revolutionary program specifically designed to deliver not only ideas for thinking about conflict differently, but also real-life applications for moving past the roadblocks to achieve success, regardless of your end-goal. Whether you're a new agent or a seasoned veteran, this class is critical to your success. Prepare and deliver that single, effective phrase which will diffuse conflict, while still sounding authentically "you". Have you ever had the gut-wrenching feeling when you had a tough client to deal with - one who was going to roast you over the coals? If you are like most agents, they likely either adopted a "fight" or "flight" mentality and neither is appropriate to resolve conflict. Using the information we'll share, the next time you face conflict you will be able to remain strong, calm, and firm - without losing your dignity - or your mind! The very best ways of communicating with each generation. This is a dynamic class that will encourage discussion and thought about how we are perceived by others, and how to bridge the gap between different personalities. The top ten follow-up tools you need in your business. Join us to learn how to leverage your existing clients into a truly phenomenal business. Increasing market share, agent productivity, and office profitability - regardless of the market! Dialogues that move your agents to their fullest potential. You won't want to go another day without your new "blueprint" for success! Don't jeopardize your real estate future! Optimize your business for success. Business Planning workbook is included along with easy-to-use worksheets and Agent GCI & Activity prework. We will "unleash" Denise to provide honest commentary about what your agents need to do in their businesses right now. You provide the problems... and Denise will provide solutions, offering dialogue and strategies for any client problems your agents are facing in their business, no matter how challenging. Go ahead and hit Denise with your best shot!! !